Original title: Dead Sea. Working (tentative) title: Dead Sea. Filmed in: 65mm, 5 perforations, 24 frames per second. Principal cinematography filmed in: Panavision System 65. Presentation format: Super Panavision 70. Aspect ratio: 2,21:1. Country of origin: USA. Year of production: 1992. Released by: North American Film. World premiere (Release date): (For cast and crew) Wednesday 18.11.1992, GCC Sherman Oaks Cinema #1, Sherman Oaks, California, USA. (Public run for Academy Award consideration) Tuesday 09.11.1993 - Thursday 11.11.1993 (at 10 am & 4:45 pm as double bill with "The Remains of the Day" in 70mm) AMC Theatres Century 14, Century City, California, USA. Producer: John O'Callaghan, Ryan Bates & Mary Hoback. Director, Screenplay, Director of photography and Film editor: John O'Callaghan. Music: Bela Bartok & Kryztof Penderecki. Set decorator: Mary Hoback. Costumes: Maxine O'Callaghan. Cast (role): Greg C Sheridan (Jack Simmons), Robert James Vogl (Bobby Porter), Christian Noble (Alex Katz), Bruce McIntosh (Chuck), Brian J Bancroft (Eddie), Sam Rodriguez (Dead Pirate), Galwin Fowler (First Pirate), Matthew Roldan (Second Pirate). Production company: North American Film. Associate producers: Maxine O'Callaghan & Marc Sandford. Script supervisor/Continuity: Mary Hoback. Storyboard artist: Sam Didier. Focus pullers: Jason Lansing and Ryan Bates. 65mm camera technician: Don Earl (Panavision). Clapper/Second assistant cameraperson: Mary Hoback. Stills photography: Ryan Bates, Jason Lansing. Camera system: System 65 cameras and lenses by Panavision. Grips: Marc Sandford and Brian J Bancroft. Sound mixer and re-recording engineer: David Miranda. Location sound recordist: Ryan Bates. Post production sound: Goldwyn Sound Facility/Warner Hollywood. Sound Transfer: Brian Kane. Locations: Salton Sea Beach (CA, USA), Anza Burrego State park (CA, USA). Production start: Filmed from May 1, 1992 through May 9, 1992 (1½ day less than planned). Catering: Mary Hoback. Film to tape transfer for workprint editing: Crest National. Filmstock: Eastman Kodak 65mm EXR 5247 & EXR 5296. 65mm negative processing: DeLuxe Laboratories. Negative cutter: Brian Ralph. 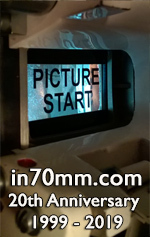 70mm film assembly: DeLuxe Laboratories. Color timer: Bill Pine. Color by: DeLuxe Laboratories. 70mm prints: A&B roll printed by DeLuxe Laboratories. Number of 70mm prints: 1 (The A&B roll, wet-gate, timed). Number of 35mm prints: 1 (No sound, not timed) test only. 70mm magnetic striping: Magnicraft/Technicolor. Striping technician: Kit Kluge. Recorded in: Six-track magnetic Dolby Stereo Spectral Recording (full descrete mix with panned sound). Formate 42. Sound system: Westrex six- track magnetic stereophonic sound. 70mm running time: 2526 feet, 22 minutes 30 seconds, plus Overture: 225 feet, 2 minutes. 35mm running time: 2021 feet, 22 minutes 30 seconds. Distributor: North American Film. Notes about the filming: Cost of production: USD 29,181.00. Awards: Entered in the Academys Short Film contest 1993. It did not earn a nomination. Synopsis: It's been a while since high school graduation, and the old teenage friendship between Jack, Bobby and Alex is already growing strained when they leave the Salton Sea and head off into the desert on an overnight dirt bike excursion. Jack and Bobby quickly decide that the heat, the cactus and Alex's arrogance are not their idea of fun, but they try to make the best of things. Then Bobby, delayed by problems with one of Alex's junky old bikes, has to swerve to avoid hitting a Mexican illegal, dying of a gunshot wound, sprawled in the path. Suddenly sunburns and sore butts are the least of their worries. The dead man's friends arrive, brandishing knives and tire irons. Alex takes off, abandoning Jack and Bobby, the Mexicans in hot pursuit. Then Jack and Bobby stumble on the rednecks who killed the Mexican, Chuck and Eddie. Things take an even deadlier turn as Eddie makes his second kill of the day: a panicked Alex with Jack and Bobby as witnesses. Special thanks to: Brian Kane, Don Stanwood, Dan Bates, Maxine O'Callaghan, Shawn Green and Don Earl.